In the late 1940s, Nkrumah joined the United Gold Coast Convention (UGCC), a political party who aimed for Ghanaian independence from Britain by initiating a pro-independence nationalist movement. In 1949, Nkrumah broke away from the UGCC, which led him to eventually become Ghana’s first president in 1960. Since Ghana earned its independence under Nkrumah’s presidency, he has been referred to as the Founder of Ghana; however, many consider the original five UGCC members who were already fighting for Ghana’s independence to be Ghana’s founders. This is why Founder’s Day celebrates the memory of all influential members involved in Ghana’s independence movement. 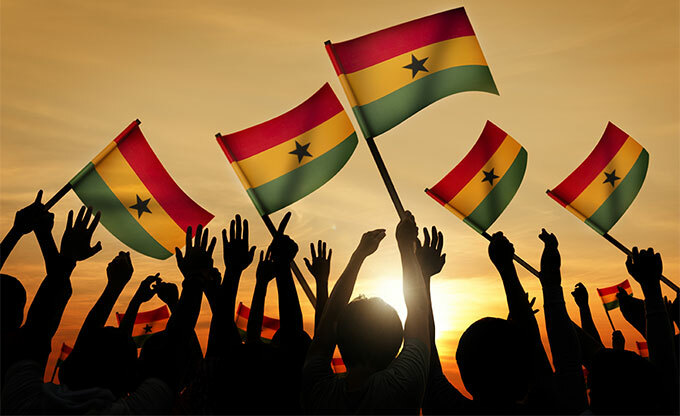 There are many small celebrations throughout Ghana, the most notable being the Accra Founder’s Day Celebration, which takes place in Accra, Ghana’s Capital, at the Kwame Nkrumah Mausoleum and Memorial Park. To commemorate the country’s founders, Ghanaians gather to watch Ghana’s president and prime minister join Nkrumah’s decedents to lay wreathes at Nkrumah’s monument. 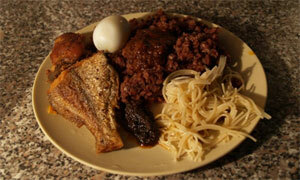 A Northern Ghanaian dish of rice and beans, Waakye has extended to garner national status as a traditional cuisine. Commonly seen as street food, it can be prepared in a number of ways but usually consists of a spicy pepper sauce. 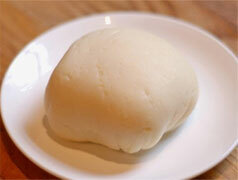 It’s often served with boiled eggs or stewed meats for breakfast or lunch. Chichinga is a dish that holds the true tastes of the country’s cuisine. As one of the most preferred street foods, it’s often seen as a skewered beef or sausage that has been rubbed in tankora spice made from ground peanuts and other dried spices link ginger and red pepper. The thinly sliced meat is combined with onions and vegetables for a savory meal. FuFu is among the most popular delicacies in Ghana that’s made from boiled roots, like yucca or manioc, potatoes, or rice. 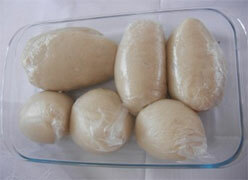 Cassava, plantains, and yams are most often used to make the dish in a large wooden pestle and mortar. While a lot of time goes into making this dish, it’s one of the most popular local meals in Ghana. 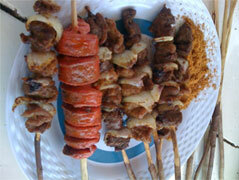 Akple is among the top five dishes in Ghana, especially in the Volta Region. Made from unfermented corn dough, it’s often eaten with okra soup, known as “Fetri Detsi,” and can be found in just about any Ghanaian home.